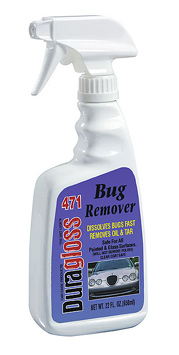 Dissolves and removes bugs, oil and tar with ease. Works great on painted surfaces, fiberglass, chrome and glass. Will not harm clear coated paint or remove durable polishes.